Great customer service and high quality products! ..
Swaddling can work wonders to calm babies and prevent them waking and scaring themselves when they fling their arms around. It worked miracles with my little girl when she was tiny. Merino swaddling blankets are gorgeously soft. 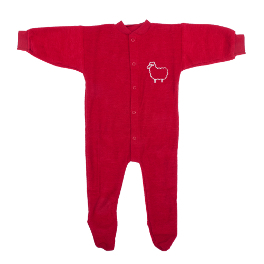 They also have the added advantage, that merino helps babies regulate their body temperature and wicks away moisture. On a recent programme on Radio 4 Paediatric orthopaedic surgeon Professor Nicholas Clarke highlighted how important it is to swaddle babies correctly, with their hips and legs free to move. Research shows that swaddling babies legs tightly to alter their natural hips open position can increase the risk of hip dysplasia and dislocation. The Cocooi Swaddling Blanket in Merino Wool is specially designed with a pouch for the legs to allow them to move freely and for you to do a quick nappy change if necessary. There is even a video to show you how to swaddle correctly. The key thing is to allow room for the hips to move.